Muscle fiber contraction results from a sliding movement of actin and myosin filaments that shortens the muscle fiber. 1. The Sliding Filament Theory a. The sarcomere, defined by striations, is the functional unit of skeletal muscle. b. When thick and thin myofilaments slide past one another, the sarcomeres shorten. The muscle contracts. 2. Neuromuscular junction a. Motor neurons stimulate muscle fibers to contract. b. The motor end plate of a muscle fiber lies on one side of a neuromuscular junction. c. One motor neuron and the muscle fibers associated with it constitute a motor unit. d. In response to a nerve impulse, the end of a motor nerve fiber secretes a neurotransmitter, which diffuses across the junction and stimulates the muscle fiber. 3. Stimulus for contraction a. Muscle fiber is usually stimulated by acetylcholine released from the end of a motor nerve fiber. b. Acetylcholinesterase decomposes acetylcholine to prevent continuous stimulation. c. Stimulation causes muscle fiber to conduct an impulse that travels over the surface of the sarcolemma and reaches the deep parts of the fiber by means of the transverse tubules. 4. Excitation contraction coupling a. A muscle impulse signals the sarcoplasmic reticulum to release calcium ions. b. Linkages form between myosin and actin, and the actin filaments move inward, shortening the sarcomere. a. A myosin cross-bridge can attach to an actin binding site and pull on the actin filament. The myosin head can then release the actin and combine with another active binding site farther down the actin filament, and pull again. b. The breakdown of ATP releases energy that provides the repetition of the cross-bridge cycle. 6. Relaxation a. Acetylcholine remaining in the synapse is rapidly decomposed by acetylcholinesterase, preventing continuous stimulation of a muscle fiber. b. The muscle fiber relaxes when calcium ions are transported back into the sarcoplasmic reticulum. 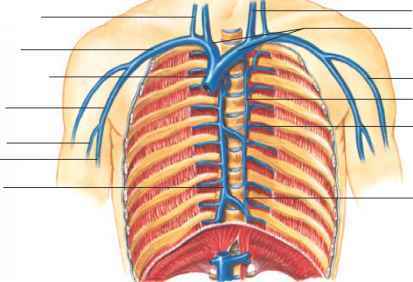 c. Cross-bridge linkages break and do not re-form—the muscle fiber relaxes. 7. Energy sources for contraction a. ATP supplies the energy for muscle fiber contraction. b. Creatine phosphate stores energy that can be used to synthesize ATP as it is decomposed. c. Active muscles depend upon cellular respiration for energy. 8. Oxygen supply and cellular respiration a. Anaerobic respiration yields few ATP molecules, whereas aerobic respiration provides many ATP molecules. b. Hemoglobin in red blood cells carries oxygen from the lungs to body cells. c. Myoglobin in muscle cells stores some oxygen temporarily. 9. Oxygen debt a. During rest or moderate exercise, oxygen is sufficient to support aerobic respiration. b. During strenuous exercise, oxygen deficiency may develop, and lactic acid may accumulate as a result of anaerobic respiration. c. The amount of oxygen needed to convert accumulated lactic acid to glucose and to restore supplies of ATP and creatine phosphate is called oxygen debt. 10. Muscle fatigue a. A fatigued muscle loses its ability to contract. b. Muscle fatigue is usually due to the effects of accumulation of lactic acid. c. Athletes usually produce less lactic acid than nonathletes because of their increased ability to supply oxygen and nutrients to muscles. 11. Heat production a. Muscles represent an important source of body heat. b. Most of the energy released by cellular respiration is lost as heat.